VoiceVault provides voice biometric solutions for mobile, on-device and telephony applications. The solutions focus on ease of use along with convenience for customers and end-users while providing unparalleled levels of security. Solutions are developed and delivered through partners or direct to client organizations and these can be deployed through a range of hosting models including cloud, on premise or via managed service providers. VoiceVault's technology is proprietary to them and is 100% in-house developed. 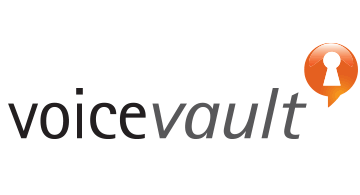 VoiceVault is a US based company (El Segundo, CA) with an R&D center in the UK whose solutions use the unique characteristics of a person's voice for biometric identity verification on phones; in mobile apps; and on-device for tablets and computers. They use the fact that speaking is convenient and natural and that no two voices are exactly the same. Biometric voice-based solutions enable business processes to enhance multifactor authentication with something you are - your voice.